ECB breaching employment law for Irish players? The England and Wales Cricket Board could be acting in breach of UK employment law by classing Northern Ireland-born Ireland internationals as overseas players in English domestic cricket from next season, according to a top sports lawyer. Ireland internationals were previously treated as “qualified players” in English domestic cricket under the ECB’s regulations because they represented one of the second-tier associate nations. After the International Cricket Council (ICC) promoted Ireland from associate to full member and Test status in 2017, the ECB granted Ireland internationals a two-year transition period until the end of the 2019 season, after which they would be treated as “non-qualified” players. Andrew Haywood, who heads the Sports Group at Penningtons Manches LLP, believes the ECB rules could be open to challenge under the UK’s Equality Act 2010 if Northern Ireland-born Ireland internationals are treated less favourably on the grounds of their nationality than, for example, a Scotland international. Scotland hold ICC associate status, and their internationals are free to play in English domestic cricket without restrictions because the ECB class them as qualified players. 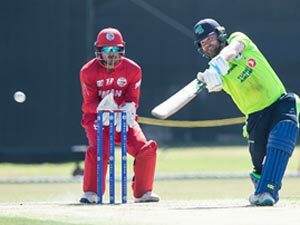 “On the face of it, following this recategorisation, the only difference between a Northern Irish player who plays for Ireland and, for example, a Scottish team-mate is that the ECB will now class the Northern Irish player as an overseas player following the end of the 2019 season due to Ireland’s promotion to ICC full membership,” Haywood said. “On this premise alone, it is difficult to see how such a rule can be objectively justified.” The ECB ruling, which is likely to severely limit the opportunities of all Ireland internationals to play in English domestic cricket, could also potentially fall foul of European law. English county teams are only allowed to play one non-qualified cricketer in their county championship and One-Day Cup teams, and two non-qualified players in the Twenty20 competition. “I’m not a competition lawyer, but it seems to me the ECB ruling does raise a potential free movement of person issue,” Haywood said. The Times understands that the ECB is “comfortable” with its interpretation of the law, and the eligibility rules are likely to stay in place because no Northern Ireland-born Ireland international is willing to mount a legal challenge against English cricket’s governing body. William Porterfield, Ireland’s Test and ODI captain, and Gary Wilson, the T20 captain, spoke to the Professional Cricketers’ Association, the players’ union, in 2017, but opted not to take the matter further as both planned to sign full-time contracts with Cricket Ireland when their respective county contracts with Warwickshire and Derbyshire ended. Middlesex and Ireland batsman Paul Stirling, the only Northern Ireland-born Ireland international playing in county cricket, has also ruled out bringing a legal case against the ECB. The 28-year-old holds dual contracts with Middlesex and Cricket Ireland, but is likely have to choose between club and country after the two-year transition period expires at the end of the coming season.